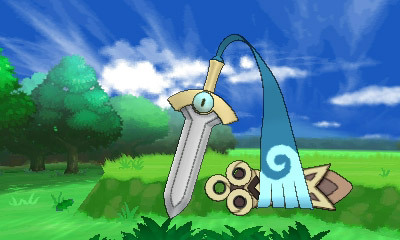 Honedge comes into being when a departed spirit inhabits a sword that once belonged to humans. It can use the blue cloth attached to its hilt as nimbly as an arm. If you were to carelessly take this blade in hand, you may find that blue cloth wrapping around you…draining the energy from your body! Umm … Kind of creepy. Sometimes you have to love Pokemon descriptions, they can be equally disturbing and quite awesome. 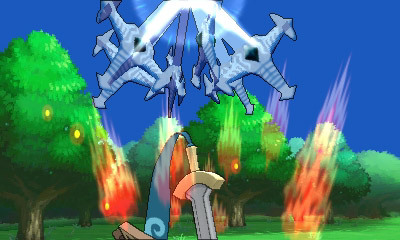 So far the only move confirmed for this new Pokemon is Swords Dance. With more and more being revealed for X and Y, the anticipation for October 12 just grows each day. 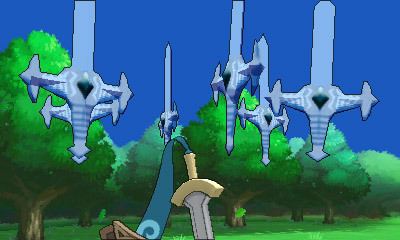 For now, enjoy some screens of Honedge in action while we all painfully wait.